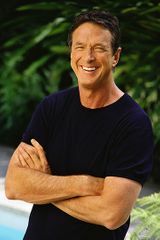 Michael Crichton’s novels include Next, State of Fear, Prey, Timeline, Jurassic Park, and The Andromeda Strain. He is also known as a filmmaker and the creator of ER. He has sold over 200 million books, which have been translated into thirty-six languages; thirteen have been made into films. He remains the only writer to have had the number one book, movie, and TV show at the same time. He died in 2008.